Top-Rated For Over 35 Years! Ridgeway Mechanical has been servicing local residents with their home piping problems for over 35 years! Having the most professionally trained and highly skilled staff, we offer the absolute best service for the best value in town. We are the top rated plumbing service on Kudzu and have an exemplary track record with Home Advisor and other business reporting agencies. Rest assured that when you call on Atlanta's Ridgeway Mechanical, you are making the best call possible. We offer a variety of service designed to meet all your residential and commercial needs. From water heaters to water lines, sewerage systems to slab leaks, faucets to freeze breaks, we do it all. Our technicians are skilled, professional, friendly and efficient, providing you with the highest quality service at the most competitive rates. All of our work is backed by a full warranty, ranging from one to ten years, depending on the job performed. Ridgeway Mechanical services cover a wide range of disciplines ranging from repair and maintenance services to installation and design. We are available 24 hrs a day, 7 days a week. For drain cleaning, toilet clogs, water heaters repair and everything in between. Our experienced staff can do it all. We look forward to assisting you with your needs and hope to become a household name to you and your family. Top-Rated Plumber Atlanta, Serving Fulton County Since 1985! Welcome to Ridgeway Mechanical Inc. we are a professional plumbing company serving metro Atlanta and surrounding areas like Kennesaw. Throughout our website, you will find all kinds of information for you the consumer regarding all the professional services we provide. We have been servicing the Greater Atlanta area with ALL plumbing and drain services for over 25 years! Having the most professionally trained and highly skilled staff, we offer the absolute best service for the best value in town. We are the top rated plumbing service on Kudzu and have an exemplary track record with the BBB and other business reporting agencies. Rest assured that when you call on us you are making the best call possible. We look forward to assisting you with your plumbing needs! Our drain cleaning service offers a complete range of top quality drain cleaning and rooter services to meet all of your household needs. With over $ 15,000 of parts and equipment stocked on every truck, our technicians are prepared to handle any drain cleaning problem or emergency, 24 hours a day, 7 days a week, 365 days a year. Our drain cleaning service offers a 100% satisfaction guarantee and all Ridgeway techs are trained, drug tested and security screened for your peace of mind. Anytime you are having a plumbing emergency? Do not hesitate to call. We respond to this types of emergencies all around the Atlanta Metro area and surrounding suburbs, no matter what time! 6:00 p.m. on Saturday or 4:00 a.m. Monday morning – we’re on our way. Waiting can cause thousands of dollars in damage not only to the area of the leak but also to the home’s structure. Please Contact Us NOW if you think there is a problem. Tomorrow may be too late! If you search for plumbers near me, you will be pleasantly surprised at the number of companies serving your city! Water & Sewer Technicians is a popular career and in high demand. Because it is not wise to have several companies under contract, we must choose the best contractor to work in our home. The choice is greatly influenced by the service you require. For example, There are companies the focus on emergencies, and there are companies in commercial buildings instead of residential units. Make sure you focus your search on the service you need, and this will allow you to chose the best company for the job. If the work is needed in your home, a commercial contractor may not be of much use. With that said not all are created equal and finding a quality service provider is sometimes time-consuming. Something e to keep in mind is that by sticking with one company, you are doing yourself a favor as many of these companies can handle just about anything you throw at them. At Ridgeway Mechanical we offer everything from leak detection to water heater repair. While a lot of our competitors offer water heater replacement or water heater installation you are not going to find too many that do water leak detection, as specialized equipment is required to do this. While talking about your hot water heater, if you are doing a new shower installation and or shower repair consider upgrading to tankless water heaters. The tankless water heater installation is fast, simple and can save you a lot of money on your electric bill! A lot of weekend warriors have enough courage and DIY experience to handle basic residential repairs and or installations. However, if you are in need of gas line installation, and or sewer line replacement, you should consider hiring or at least consulting one. A quality residential contractor can save you a lot of money in the long run. Many toilet repair and faucet repair can be handled with a run to your local hardware store. 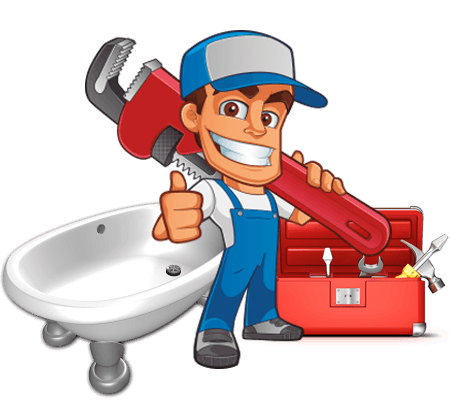 With the right tools, you may even try garbage disposal repair and or garbage disposal installation, but sewer repair and water line repair requires specialized tool too expensive for a weekend hero. One of these includes hydro jetting, a device used in trenchless sewer repair. Aside from special tools like the hydro-jetting machine some of the most common issues you find around not only the metro area but also surrounding suburbs like Forsyth are sump pump repair, gas line repair, and slab leak repair require expertise you just can’t get from reading the equipment manual and or a YouTube video. When you drain your tub or flush your toilet, that waste and wastewater travel through the sewer drain system and onto your septic tank or the municipal sewer system. When this system fails the results can be devastating and from toilet overflow to flooded basements. The Atlanta plumbers at Ridgeway Mechanical have helped over one hundred thousand of homeowners with their sewer line repair or replacement needs. Contact us today for a FREE consultation. Need fast, affordable water heater repair or replacement service in Atlanta? Ridgeway Mechanical can repair and service all makes and models of water heaters. We can also upgrade your existing water heater with a more efficient tankless or gas unit. Call Ridgeway Mechanical for all your gas, electric, or tankless water heater troubles. We will make sure your family has all the hot water you need while making your home more efficient with a gas or tankless water heater. The Atlanta plumbers at Ridgeway Mechanical are experts at replacing and fixing all types of water main issues. The water line between your house and the water meter, often called the water main is not only the home owner’s responsibility but also the main source of poor water quality, low pressure, and high water bills. At Ridgeway Mechanical we use modern trenchless pipe installation techniques to install new long-lasting water main pipes and state of the art lack detection.  Call Ridgeway Plumbing For Fast Emergency Service! Ridgeway Mechanical is considered Atlanta’s Best Sewer Line & Water Line Contractors around with over 35 years of experience. We install and replace water supply lines, perform sewer line and drain video inspections, remodeling plumbing, sewer line, and drain line repair and everything in between. We love it when people say that we are the go-to contractor serving the 404, 470, 678, and 770 area codes. If experience matters to you, it is important to point out that we have replaced over 90,000 sewer lines over the last three decades, so rest assured that we can handle any sewer problem you run into with your home in the metro and downtown area as well as surrounding suburbs like Clarkston. Call the expert at Ridgeway Mechanical today for a free estimate on your repair or installation needs. As one of the areas premier companies and a water line and sewer line specialists with 35 years of experience we pledge to you to provide super fast, high-quality services. If you have a plumbing problem that can’t wait call the fastest response team at Ridgeway Mechanical! We’ll competitively price quote with no hidden fees and will match ANY written estimate from another local competitor. Unlike those roto-rooter guys! We are a FULL-SERVICE ATLANTA PLUMBING COMPANY! Our plumbers are experts at fixing any emergency they may run into because of the many years of experience they have accumulated. Weekends, nights, holidays, no problem. Call us at (770) 450-1900 today because, in the event of an emergency, time is money. Don’t risk more damage to your home and personal property.  Our Atlanta Master Plumber team, can handle anything including sewer lines, drain cleaning, drain line repair, water line repair, hot water heater service, to showers, tubs, and faucets, no repair is too big or too small for us. We also offer Polybutylene, PVC, copper, installation and or replacement! Our professionals can fix any leaks and repair or replace any pipe. For more information or to discuss your specific needs call us at (770) 450-1900 and make sure to check out kudzu.com and Google where you will find more than 1500 five star reviews from happy customers who appreciate the kind of job we do over and over. If you want the best call the best plumber in Atlanta, our work is always guaranteed and we always use only the best plumbing supplies vendors and manufacturers for our product!